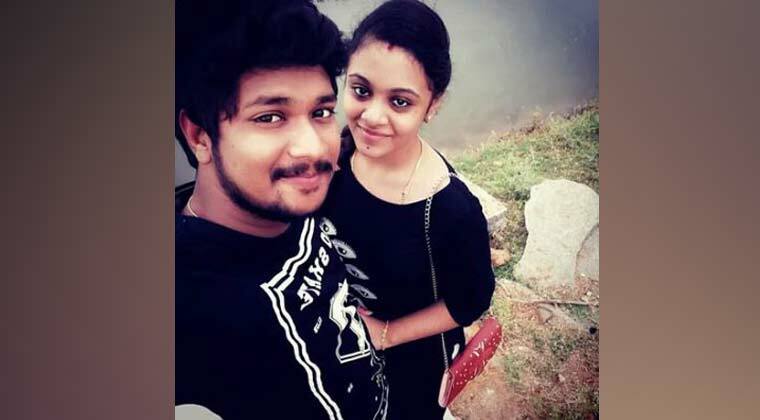 Home English Amrutha Cheated with Pranay ‘Athma’! Honour killing of Pranay created sensation in Telangana somedays back. His widow Amrutha has started a social media campaign demanding justice to Pranay and against such killings in the name of caste. Meanwhile, a couple have cheated Amrutha on pretext of making her talk to Pranay’s Soul (Athma). Potthuru Nagarao and Satyapriya from Patancheru approached Amrutha saying that they talked with Pranay’s spirit and faking that he wants to communicate with Amrutha. The couple went to her house in Miryalaguda on Sunday. Suspicious over their behaviour, Amrutha complained to police and got them arrested.